Swim with the biggest animal that has ever lived! 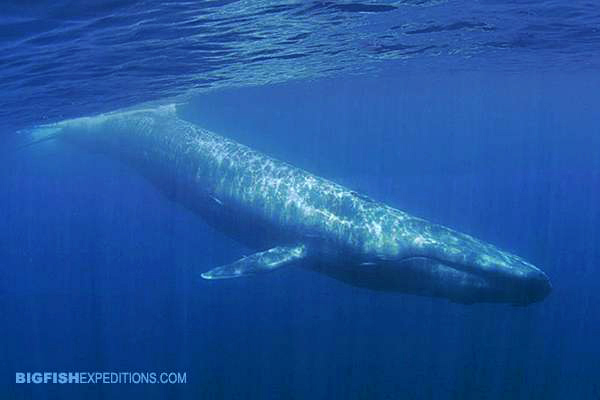 In March and April each year, blue whales migrate through the warm, clear coastal waters of Sri Lanka. When this incredible event occurs, we are there to meet them. To get close to the whales without them getting stressed, we use small fast chase boats that hold a maximum of 4 free divers. With the help of expert guides, we will put you right in the path of the largest animal that has ever lived, observing the whales as they briefly slip by under the surface. You plunge into the water in front of a behemoth and float above it or free-dive down to its eye-level as it glides past. You feel like an insect next to its unimaginable bulk. Perhaps you see a glimmer of recognition; a slight flick of its eye in your direction. After a few tantalizing seconds, the whale mysteriously dissolves back into the deep blue void, surfacing 10-12 minutes later for another few breaths before diving again. Although this is officially a blue whale trip, they are not Sri Lanka’s only cetaceans. During your Whale and Dolphin snorkeling safari, you may have the opportunity to snorkel with up to thirteen species of whales and eight species of dolphin. Other than blue whales, the most commonly seen cetaceans are Sperm Whales, Brydes Whales, Shortfin Pilot Whales, False Orcas, Spinner Dolphins, Humpback Dolphins and Bottlenose Dolphins. Each species has its own behavior. Blue whales feed for long periods during the day. Consequently, the style of encounters that we enjoy with them are fly-bys; the whales swim past underwater, you watch them wide-eyed for a few seconds and then return to the boat in order to repeat the process. Brydes whales act similarly to blue whales. Sperm whales are quite different. They can sometimes be seen in extremely large aggregations. And on occasion, they rest in groups close to the surface. Smaller whales and dolphins sometimes approach the boat and play in the bow wave. 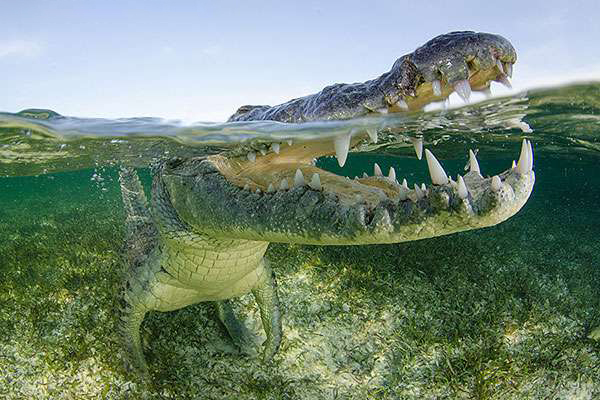 They are often curious, allowing close encounters underwater. Blue whales and other Sri Lankan cetaceans may be enormous but they are also very shy animals. Noisy scuba equipment would frighten the whales into a deep dive so it is far better if we take a minimalist approach. This encounter requires nothing more than a mask, snorkel and fins. The most effective way to get as close as possible to the whales is to judge their direction of travel, slip into the water and float at the surface in their path. During your Sri Lankan Whale Adventure, your home away from home will be the luxury Trinco Blu Resort Hotel in Trincomali.